Artist Statement: Edgelands are transitional patches of land between urban and rural landscapes that are often overlooked. They are separate from the urban power structures and arguably a free space of expression and adventure. Graffiti, litter and dog waste bags decorate the Edgelands. These traces are associated with the people who have a practical relationship with the landscape. 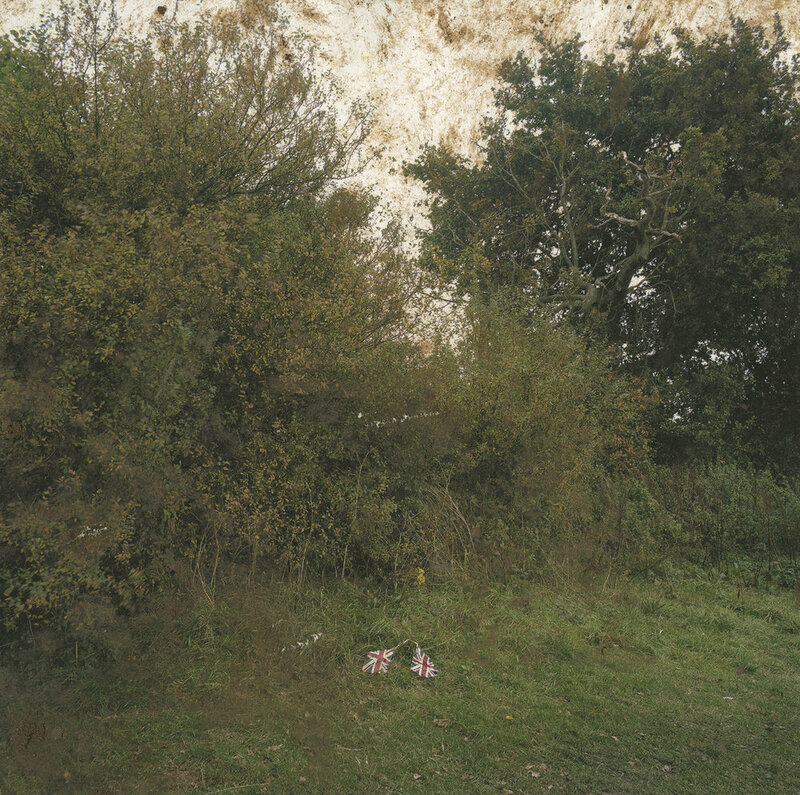 Bark immerses himself within these spaces through camping and engaging with the community, he seeks to discern what the Edgelands mean to them and why. Inhabiting Edgelands questions our common understanding, and provides an insight into the complexity of the Edgelands. What are some standout moments from your time at university? The whole process of university was great. I spent 3 years studying photography at Coventry and 1 year studying film studies at Karlstad in Sweden – both helped develop my practice and perspective. Particularly, Coventry University has a global perspective and it gave me the opportunity to not only study in Sweden, but also to go on trips to Muscat (Oman), New York, Berlin and Madrid to be part of a global community. Talking about my work at a conference in Oman was a great stand out moment, but the community of students and practitioners that I’ve met across the whole 4 years has made everything so enjoyable. Which photographic genre do you consider your work to fall into? Fine Art - I like to do more with the singular photograph. Photography was founded as an inherently physical form with heliography, where light interacted with either glass or metal to create a photographic object, but we are losing this physicality in the online-world. I experiment with different sequences, processes and presentation methods to create an individual response to my subject. What themes do you find yourself exploring? Psychogeography and territory. My work in the edgelands, like many other edgelands projects, demonstrates a separation between an aesthetic tourist and the edgelands local. Many people use the edgelands for a practical use – to live, to work or to escape. This relationship between tourist and local, psychogeography and territory, is in constant conflict in my recent work. How did this series come to the surface? What initially inspired you? Growing up in Thirsk, North Yorkshire I’ve always been drawn to semi-wild landscapes for different reasons at different ages; to explore, to hide and to express. Moving to Coventry I discovered similar places. I read books by Rob Cowen, Michael Symmons Roberts and Paul Farley, Marion Shoard and Robert MacFarlane (the go-to guides for edgelands adventurers), and was on my way. What do you enjoy most about photography? I enjoy the process that goes into photography projects. Photography is mostly judged for the final outcome, but dedication to process can help control how the work is seen. Can you name some photographers whose work encouraged you to continue making Inhabiting Edgelands? Photographers such as Stephen Gill and Daisuke Yokota have inspired me to bury my photographs and do more with the process. I’ve always been apprehensive with displaying pristine prints of the edgelands; the landscape seems to require a more low-fi and rugged presentation. Inhabiting Edgelands is displayed in two different formats, a photo-book and an outside exhibition. The ‘Reminders Photography Stronghold’ publishers in Japan have produced some great photobooks with a philosophy of disseminating the projects to a wider audience. They’ve definitely influenced my perspective on photobook design and production. What have you learnt whilst making this work? I’ve learnt more about my position as an edgelands tourist. Initially I was excited to explore with my camera, but I eventually started camping there and getting to know the local community. The whole project has been a way of navigating my status as a tourist and instead attempting to become more of a local. I’ve learnt about motility of the edgelands – the social hierarchies within the landscape. But my aim of becoming a local was idealistic; my final body of work demonstrates my interest in the local activities but also my separation from them. Tell us more about the outside exhibition you put together to celebrate this work. Before it became a book the work was installed in the edgelands, pasted on walls, covering graffiti - there for both the edgeland tourist and the local to see They could tear it down or view from a distance. I guess it was less of a celebration and more of a canvas to create a dialogue with the two different audiences. It was eventually taken down by someone or something, but I wasn’t disappointed, the removal was a response to the work. The outside exhibition became a way of finding out more about the social mobility of the landscape in the largest social network of the edgelands, the public realm. You mentioned that you've "always been apprehensive with displaying pristine prints of the edgelands". Was this exhibition and the creation of your photobook a natural way for you to go? Yes definitely, the exhibition and the book package the work and challenge the photographs that I’ve taken, they critique for my own adventures. I didn’t want the project to be a discrete response housed in the white walls of the exhibition space, I wanted to collaborate with the landscape. Both gave me the opportunity to collaborate with the landscape in different ways. What are your future photographic plans? Is Inhabiting Edgelands finished? Modestly I’d like to say I’ve been lucky with the opportunities that I’ve got in photography, but it has definitely come with hard work in my final year of university. I’ll be working with the edgelands more in the future for sure, but more with the edgelands community than the landscape itself. I’ll start my PhD in ‘Photography, Art and Motility’ next September and the whole application was based around this project, but let’s wait and see what happens. My plans at the moment are to work on some commissions, assist and teach. I’m enjoying it all at the moment and hoping to keep up this energy after graduating.